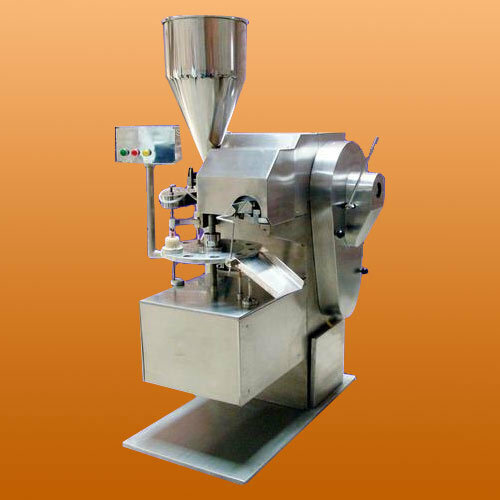 We offer a wide range of rotary tube filing and crimping machines with coding device which widely caters to the needs of pharmaceutical industry. Our product range is known for its sturdy construction, excellent performance and easy operation. These machines comprises one rotating disc with an interchangeable tube which holds the sockets for different sizes of the tube. It also consists of one s. S. Filling syringe pump provided with a teflon ring and one s. S. Filling nozzle. This is connected to small pneumatic string cutter device which is used for the control of tailing. All the contact pans are made up of stainless steel and teflon filled seal along with the code stamped tubes. More than a decade ago, asoka enterprises, calcutta, india has started its journey, with a unique objective to make available classic pharma equipments at an affordable price and to rewrite the most effective after sales service. Today when the promoter reviews his objective- his is satisfied with mission accomplished. Asoka enterprises was started by engr. M. Rahman who has got 40 years of experience and widely known in the pharma sector of india and bangladesh for his long association with the pharmaceutical machine manufacturing industries. His outstanding grip on the performance of a machine and his deep sense of offering service has made his job easier.